What is the price of beauty? 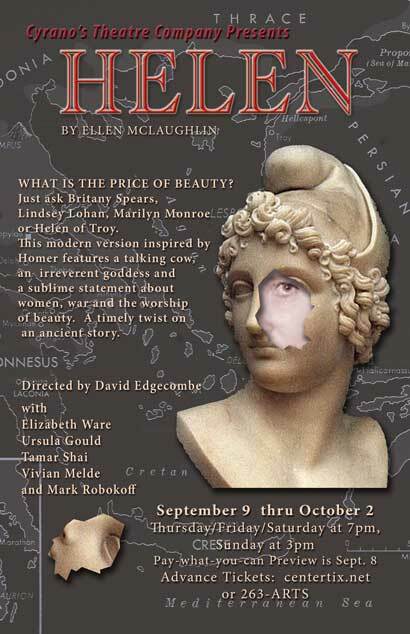 Cyrano’s Theatre Company presents a modern adaptation of Homer’s classic tale of lust and longing in a new updated version. Actors Mark Robokoff and Elizabeth Ware join host Mark Muro on Stage Talk. Helen examines the timeless questions: Is the mask of beauty really a disfigurement? What effect does age have on a woman’s desirability? What is the ultimate price of war on women? ORIGINAL BROADCAST: Fri, September 2, 2011 at 2:45 p.m.